Eat Your Way Clear Of Jetlag! How Does the Anti Jet Lag Diet Work? Jet lag – sometimes spelt jetlag – is a temporary but annoying and debilitating condition that affects long-haul international air travellers. Jet lag results from passing through a number of different timezones when travelling. As a result, the body’s internal clock (circadian rhythm) becomes out of sync with the actual day-night cycle. In simple terms, your body thinks it’s 2AM in the morning whilst the clock says 18:00! 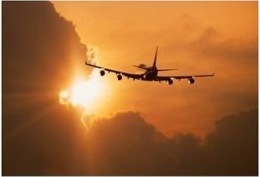 Some reports say that over 90% of long-haul air travellers suffer from jetlag. The problems often seem to be worse when travelling “forwards” – for example from the USA to the UK. Jet lag is basically a sleep disorder and symptoms are similar to those suffered because of any form of sleep disturbance: tiredness/insomnia, irritability, difficulty concentrating, headaches, bowel disturbance, etc. The effects of jet lag are worse the more time zones you travel through. It’s important to remember that it is time zones that matter, not distance. You can fly any number of miles North/South without suffering from jet lag. Jet lag symptoms are usually worse the more rigid your usual rhythm. Those least affected are babies and students! Jetlag symptoms will wear off by themselves as the body readjusts its internal rhythm. Depending on the individual this can happen as quickly as in a day or take a week or even longer. The cure for jet lag is essentially to get your body into the new sleep cycle as quickly as possible. One tip is to reset your watch to your destination timezone as soon as you board the plane. Then stick with that time frame. If the flight offers a meal and your watch now says it’s 2AM – turn the meal down, put on your eyeshade and try to sleep. This will give you a headstart when you arrive at your destination. Continue this adjustment when you arrive. Resist the temptation to sleep early evening because you’re tired – wait until the clock shows your usual bedtime. There are many over-the-counter preparations available to assist in resetting your sleep cycle. These range from herbal and homeopathic remedies through melatonin to over the counter sleep pills to prescription pills. Always discuss the use of these with your doctor. Another option is to use a “body clock” or sunrise alarm clock. These work by slowly dimming the light when you go to sleep and then slowly raising it before alarm time to simulate natural sunset and sunrise even in winter. Bodyclocks can also be effective in treatment of mild seasonal affective disorder. The author of this page uses a bodyclock all the time. Some people also report success in beating jet lag through diet. This relies on planning – you need to begin your new eating habits several days before the flight. Unlike many fad diets around, the Argonne Anti Jet Lag Diet has excellent scientific credentials. The diet was developed at Chicago’s Argonne National Laboratory, a US Department of Energy research centre. The jetlag diet was developed by Dr. Charles F. Ehret based on his studies of the daily body rhythm (circadian rhythm). A study by Miltary Medicine on soldiers in Korea showed that using the Argonne diet reduced the chance of jetlag by a factor of seven when travelling West to East. On the return flight East to West the effect of the Argonne diet was to reduce the chance of jetlag by a factor of 16. Like other jet lag cures, the Argonne diet works by attempting to resynchronise the body’s natural internal clock with the target timezone. It does this by means of the digestive system. Obviously if you have special dietary or medical needs you must consult your doctor before starting the diet. One difference between the Argonne diet and other jet lag prevention techniques is that the Argonne system begins before you fly. It is therefore only of use to those who know in advance that they are going to travel and have enough flexibility to modify their behaviour patterns. The Argonne Diet system essentially consists of adjusting the body clock by first confusing it then resetting it. The basic system is alternating “feast” and “fast” days before travelling. “Feast” days consist of three full meals. Breakfast and lunch should be protein high, the evening meal should be high in carbohydrate. “Fast” days are not complete fasts, however very little food of any sort should be eaten. You should remain slightly hungry all day. Alchohol should be avoided during this phase of the diet, caffeine restricted to a little mid-afternoon. 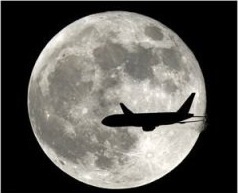 On the day of the flight, you break the final “fast” and begin to “reset” the body clock. Start by eating a good breakfast at the time breakfast would be eaten at your destination. Continue to eat meals at the times they would be eaten at your destination – this might require you to negotiate with the airline staff or bring your own food. If you do the latter, be aware of the rules concerning importing food into certain countries. On arrival, your body should be reasonably synchronised with the new timezone. Continue eating meals at the new times and if the Argonne diet works for you then you might avoid the worst jetlag symptoms.